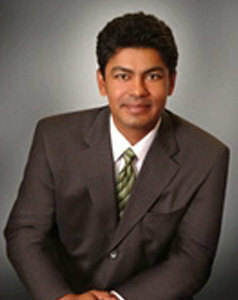 Rocky has been a licensed Real Estate Broker since 2002. Rocky is affiliated with @Properties in Chicago and his primary focus is selling residential real estate in DuPage and Cook County. Although he works throughout the City of Chicago and the Western Suburbs, Rocky's area of expertise include Lincoln Park, Lakeview, West Loop, River North, Old Town, Bucktown and Wicker Park in the City and Elmhurst, Lombard, Glen Ellyn, Wheaton, Downers Grove, Naperville, Oak Brook, Hinsdale, Burr Ridge, La Grange and Western Springs in the Western Suburbs. As a knowledgeable real estate professional, Rocky considers it an honor to be able to assist you with your real estate needs. He recognizes the most important member of his team is the client". His approach with all clients is to ensure they are fully informed with the current real estate marketplace, resulting in the confidence that their financial interests are being properly represented during the entire real estate process. He enjoys the creative aspects of marketing properties and utilizing the latest technologies available, especially social marketing. It is his knowledge of the market that enables Rocky to assist his clients in positioning their properties to result in a positive return on investment. Keeping up on trends, market statistics and current activity is imperative to Rocky 's business practice. Rocky's goal is providing the finest professional service to his clients so that their real estate experience is smooth, timely and handled with genuine care. His objective is to deliver excellence at each level so that every client becomes an enthusiastic fan of Rocky Talwar. Rocky's education attitude isn't just for his clients. Before coming to @Properties, Rocky taught classes and led seminars for Coldwell Banker. He taught New Agent Developement, which helped agents set 30 day plan in which would lay a foundation for their future business plan. Rocky taught that class for 4 years. He has also taught Social Media and its impact on the industry for the past 2 years. Rocky has been a favorite of many attendees and has also served on panels during expos. His enthusiasm and thirst of knowledge not only benefits him, but everyone he comes in contact with. When Rocky isn't busy helping his clients, he enjoys being able to spend time with his wife and 4 1/2 yr old son and 2 1/2 yr old daughter, as well as 4 cats. During the spring, summer and autumn seasons, Rocky enjoys many outdoor activities. Some of those activities are fishing, auto racing and taking the family to the zoo. Rocky has been racing for 24 years and enjoys taking his vehicle on the race track. He is a member of SCCA, SCSCC, BMWCCA, Windy City BMW and Midwest Council. Bought a home and sold a home through Rocky. Overall, he brought us excellent and timely results (despite the market's decline), and was truly a pleasure to work with. Knowledge and integrity are among his greatest attributes. We will definitely hire him again next time we are in the real estate market!"